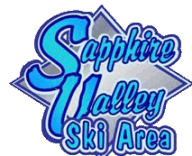 Sapphire Valley Ski Area Group Rates and Discounts are available for groups of 10 or more. All our groups have their skis, boots, poles, and/boards pulled and ready for you when you arrive! Please use the form below and we will contact you ASAP and get your group package started! Please read the Group Procedure Info on this page. Get your family and friends to team up into a Group! Please use the form below to get your group packages ready! Book more than 48 hours in advance and your equipment will be reserved and the resort staff will meet you and help you get started. ...to our 5,700-acre resort nestled in the pristine Blue Ridge Mountains of North Carolina, where you will unwind in a peaceful mountain setting providing seclusion and comfort. Our ski resort consists of three runs, for beginner and intermediate skiers. Our 1600-foot main run with a vertical drop of 200 feet features our new Quad-chairlift. There is a learning center slope for children and beginners and we have added a new tube park for 700 feet of frozen fun with a 60-foot vertical drop for added fun and excitement. Our rustic lodge provides a warm stone fireplace, good food, ski clothing shop and rental. Beginners will be taught the fundamentals of skiing or snowboarding from our excellent instructors and you will receive personal attention in a structured environment. This is one of the best learning facilities for skiing/boarding in North Carolina. 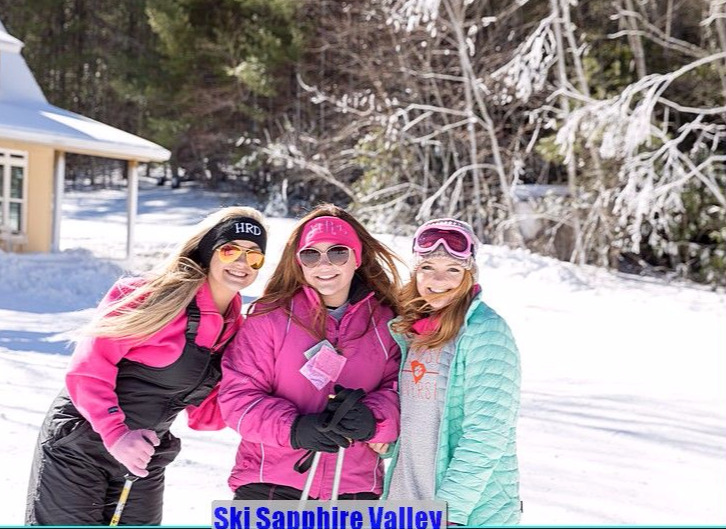 Sapphire Valley Ski Area is pleased to welcome your group to our 5,700-acre resort nestled in the pristine Blue Ridge Mountains of North Carolina where you will unwind in a peaceful mountain setting providing seclusion and comfort. Our ski resort consists of two runs –for beginner and intermediate skiers. Our 1600-foot main run with a vertical drop of 200 feet features our new Quad-chairlift. There is a learning center slope for children and beginners. We have a new tube park for 500 feet of frozen fun with a 60-foot vertical drop for added fun and excitement. Our rustic lodge provides a warm stone fireplace, good food, ski clothing shop and rental. Beginners will be taught the fundamentals of skiing or snowboarding (optional) from our excellent instructors and you will receive personal attention in a structured environment. This is one of the best learning facilities for skiing/boarding in North Carolina. Call our group sales department to reserve a date and session time for your group. Reservations should be made as early as practical, but no less than one week in advance. Group reservations can be made via telephone with our Director of Marketing at 828-743-2251. Reservations for skiing and snowboarding require a credit card to be placed in our file at the time of the reservation followed by the completion of an equipment form and liability waiver form that will allow us to have your items ready on arrival. Tubing reservations simply require advance notification of your preferred date, session selection, the number in your group, submission of a credit card account, and completion of liability waiver forms. Sapphire Valley Ski Area operates – weather permitting – seven days a week from the earliest December snow through the New Year weekend. Thereafter, the slopes are open Friday through Monday. The hours of operation vary. Friday and Monday, the slopes are generally open in the afternoon only. Saturday and Sunday, the slopes are generally open from 9AM until 8PM. Please contact our Director of Marketing for specific regular hours and extended holiday weekend hours. Operation hours are listed on our website. Tubing sessions are 1-hours 45-minutes each. Price for tubing is per session. Any changes to the reserved date and/or session time will be dependent upon availability. Any changes will need to be made by at least two days prior to the reservation. For tubing, this includes the two-hour session desired as well as the number of participants. Our tube tickets are sold on a first come first serve basis and you will be charged for the total number of tickets reserved. Cancellations are to be made at least 1 day in advance. Cancellations are to be made at least 3 days in advance. For skiing and snowboarding, your equipment has been reserved and is therefore not available to the public. If you fail to cancel your ski/snowboarding reservation, you will be charged for the use of the equipment. All pre-registered ski and snowboarding groups must fill out and return the individual equipment rental forms 7 days prior to your arrival so that we can have the proper equipment reserved and ready for you. Each participant must fill out a waiver form signed by the participant – or his/her parent/ guardian. Bring the completed waiver forms the day of your event and give it to the Sapphire Valley staff member assigned to your group. Group Leaders must keep their group together and proceed directly to the Community Center area marked Group Sales where check-in will take place. Upon check-in the group leader may pick up and pay for all pre-selected options.Payment must be made in a single payment using a credit card, cash or a single check made payable to SVMA. We accept MasterCard, Visa, Discover and American Express. This will ensure quick and easy processing upon your arrival. The group discount is not available for groups paying on an individual basis. A brief orientation will be given from a member of our staff reviewing slope rules and requirements/sign codes/lift etiquette/etc., as well as how to properly attach the lift tickets to clothing that will be worn all day long. Then your group will proceed to the rental equipment area. Your equipment has been pre-selected and our technicians are there every step of the way to make sure your equipment fits properly for your comfort and skill level. 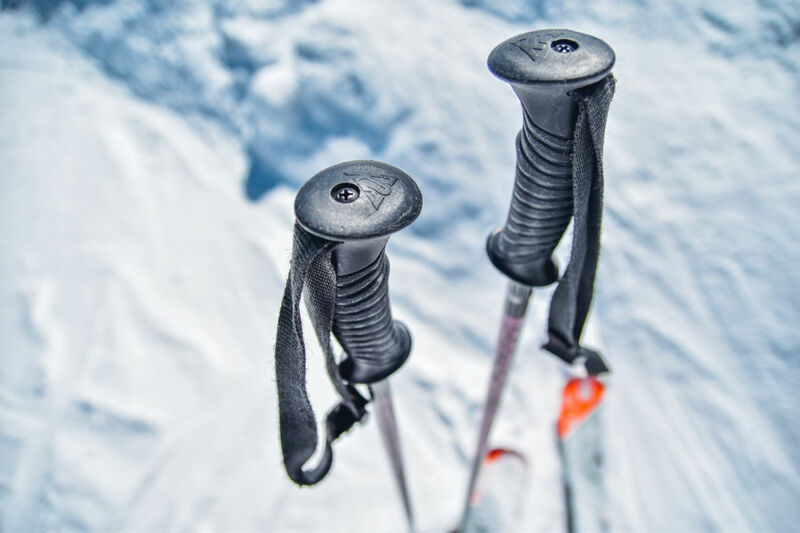 Once your group has their equipment, they should immediately proceed to the ski area, tube run or, if signed up for lessons, directly to the Ski School Building. We suggest that members of your group dress as warmly as possible. We recommend waterproof sweaters, jackets, gloves, hats, scarves, and an extra pair of socks, goggles, sunglasses and ski bibs. Fleece is great if you have it! Layering of clothes is the best way to insure your comfort. Bibs are available for rent in the rental shop on a first come, first serve bases. Helmets may also be rented for the day. We do not rent other clothing, but have two Gift Shops that offer a great selection of gloves, goggles, hats, jackets shirts, and many other apparel items you may need to purchase. To insure your safety and the safety of others please remind your group that they are required to ski in control at all times. Our Ski Patrol will revoke lift tickets for those skiing out of control or for attempting to ski above one’s ability level.